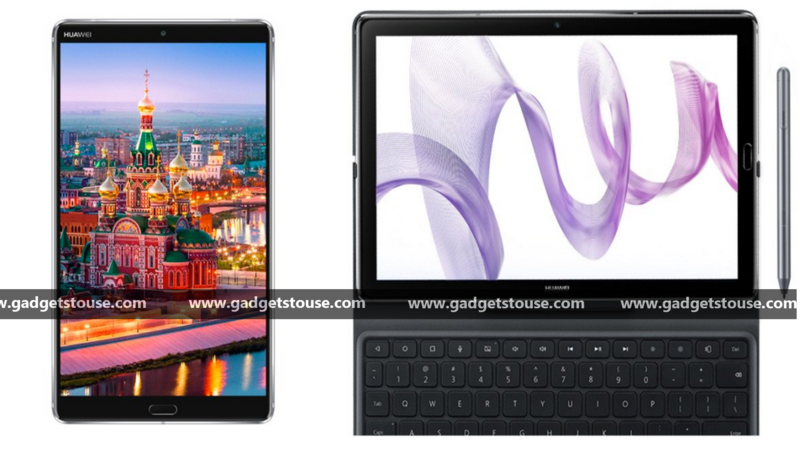 #GTUMWC2018: Huawei started the MWC 2018 with a bang with the Matebook X Pro and now we have two new tablets called the Mediapad M5 and M5 Pro. These two tablets are dedicatedly made for media junkies who always find themselves on bigger screens watching movies and shows. Both the Huawei Mediapad M5 models are similar in form factor and design, the only difference between the models is the screen size and the Pro model comes with an M-pen stylus for scribbling. The Mediapad M5 and M5 Pro come with the full metal unibody design. It comes with a camera bump at the back of the tablet which means Huawei worked a lot on the camera to make it better than traditional tablets. The camera on these tablets comes with OIS and 4K video recording support. At the front, it comes with a home button on the bezel which has a fingerprint sensor embedded in it. The back of the tablets has a quad speaker setup with the Harman Kardon branding. The speaker is powered by a dedicated ship for the perfect sound, the 8.4 inches model comes with dual speaker setup. The Huawei Mediapad M5 and M5 Pro come with an 8.4 and 10 inches IPS LCD panel respectively, the resolution on this panel is 2560 x 1660. The tablets are powered by HiSilicon Kirin 960 octa-core processor paired with 4GB RAM. The camera at the back of the tablet is 13MP and it comes with a f/2.2 aperture size with PDAF and on the front is an 8MP shooter. For connectivity, it comes with a USB Type C port and it runs on Android 8.0 Oreo OS which is layered with EMUI. 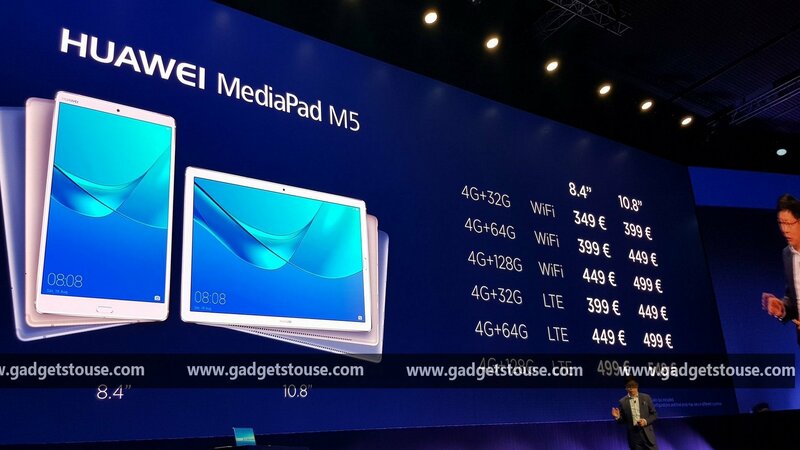 The pricing of the Mediapad M5 starts at 349 euros (Rs 28,000 approx.) and goes up to 499 euros (Rs 40,000 approx. ), and the prices for the Mediapad M5 Pro starts at 399 euros (Rs 31,500 approx) and goes up to 549 euros (Rs 43,000 approx).